In our “One for the Future” series, we’ve been looking at teams within the BAFA affiliate process. 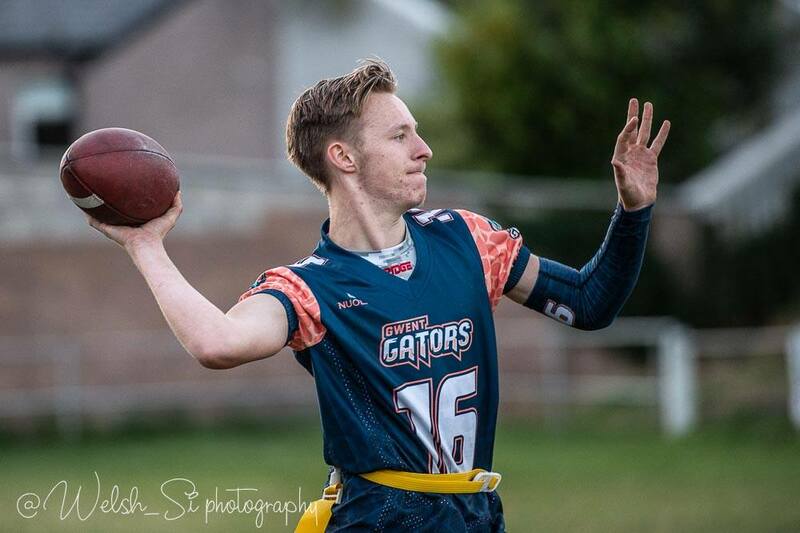 A team who’s recently come out the other side, and will be participating in the upcoming 2019 season, are the Gwent Gators. We spoke to Dale Davies about the team’s humble beginnings and where they plan on going next! Thanks for your time today Dale! Congratulations on making it through the affiliate process! Can you let us know about the Gators and how they started? 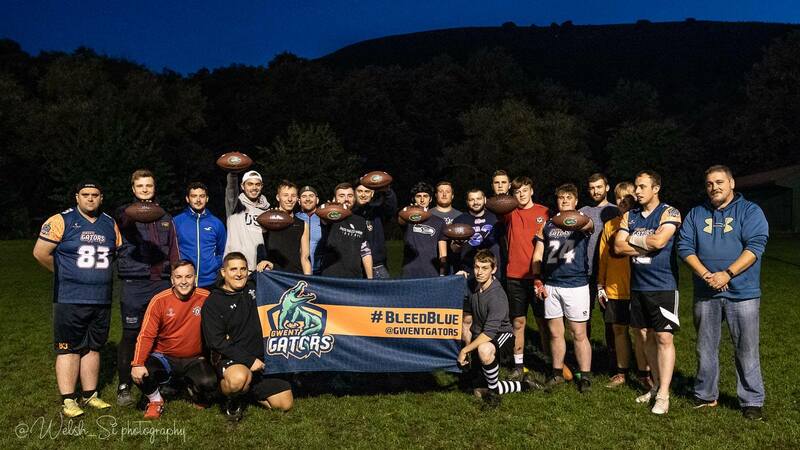 The Gwent Gators were formed back in May 2018 by our Team Manager Josh Corbett and Alex Mayne who had a group of their friends wanting to have a regular, organised “throw around” and maybe play some teams in friendlies. They asked about for a Coach toward the end of May and, although I was with the Cynon Valley Celts at the time, offered to come along and see if we fit each other. After the one session they were happy and I agreed to become their (sometimes player, not hanging the cleats up yet) Head Coach. That first session I did with them had 10 guys. Since then, the interest has absolutely skyrocketed. We have had, tentatively, over 40 people attend training and have a regular training attendance of 18-22. Our last gameday we had a traveling squad of 17. It’s been a challenge but a good one and one I am enjoying, they are a fantastic set of folks. How have you found the affiliate process itself? The affiliate process was pretty straightforward in fairness. It’s essentially hosting a home Gameday and attending an away Gameday with BAFA registered teams, akin to an actual league Gameday along with a few other paperwork related items to complete. It also gives the guys in the squad an idea of how League gamedays will work so there’s no surprises on Gameday 1 next year. Have you had much help from the BAFA flag community to date? For sure, the flag community have been and continue to be superb. From advice and tips from players, coaches and the likes of Alan Young they’ve been great. Even the ladies in the Registration department. They deserve recognition for the countless emails and queries they deal with, so thank you Faye and Amanda. We also wouldn’t be in the spot we are now without the assistance of the Swansea Hammerheads and Cynon Valley Celts for the affiliate games so thanks must go to Paul Labbett, Dan Bestwick and Chris Bowditch and their respective squads too. 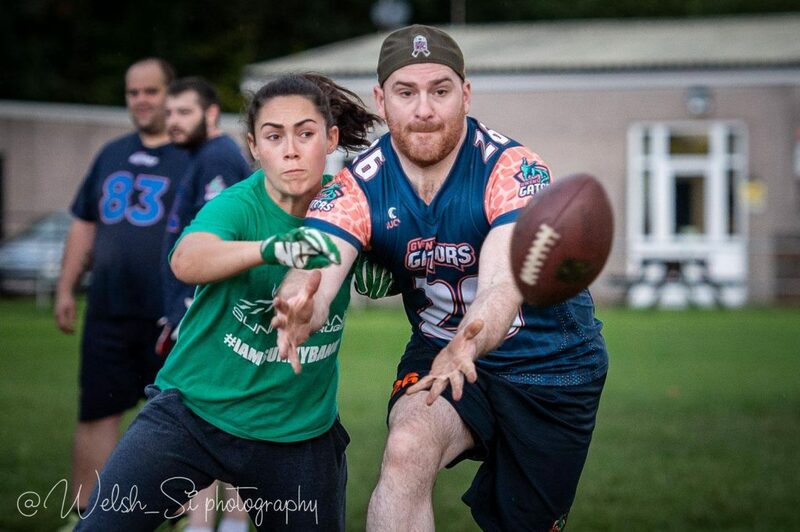 Personally, I honestly believe that Flag Football is a very fast growing sport in the UK as its a form of Football minus most of the physicality and therefore makes it gender neutral and age inclusive, that’s no bad thing, especially as I’m getting older too! You’ll have had some good games under your belt already – do you have any highlights? There’s been some doozies of games so far. 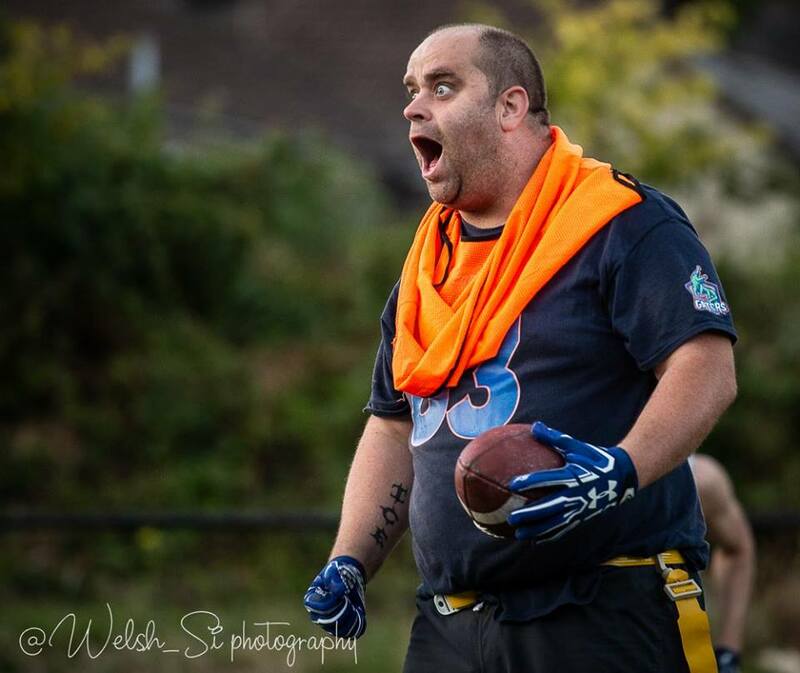 Our first games vs Swansea we went 1-1, losing the first of the doubleheader then clicking in the 2nd to power home the win, then narrowly losing our affiliate home game to Swansea where they had, essentially, their full BAFA league squad. Playing our fellow affiliates Weston and pulling out a last second 25 yard TD for the win was pretty exhilarating too but I think our best “whole team” performance to date was the recent friendly against Swindon, where we won pretty convincingly, 32-0. What are the Gators’ plans going forward? Do you have any aims for your first season in the league? Well, first on the agenda is the South West Series, where we have entered 2 teams. 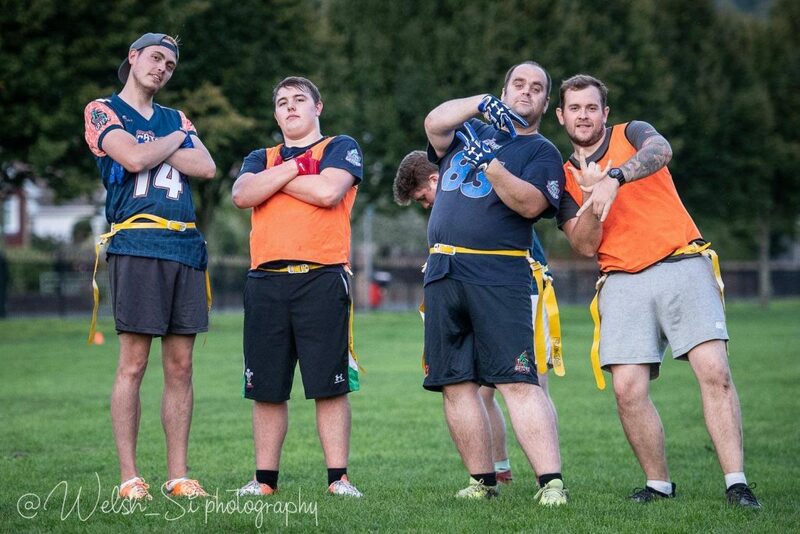 This year there’s 10 teams entered and the whole squad are looking forward to seeing those other teams we may face in BAFA next year and testing ourselves against them; it will be a good barometer of where we are right now. Then there’s the Welsh Cup to look forward too and the defending Tydfil Trojans, early next year, before BAFA league kicks off in 2019. Are there any players in your midst that we should look out for? You know I’m going to be biased here, right? I honestly believe that there is a lot of talent within our squad. We have a great mix of youth and experience, drawing on people from the South Wales Warriors, Cardiff Valkyries and Bristol Pride Academy as well as local sports teams. 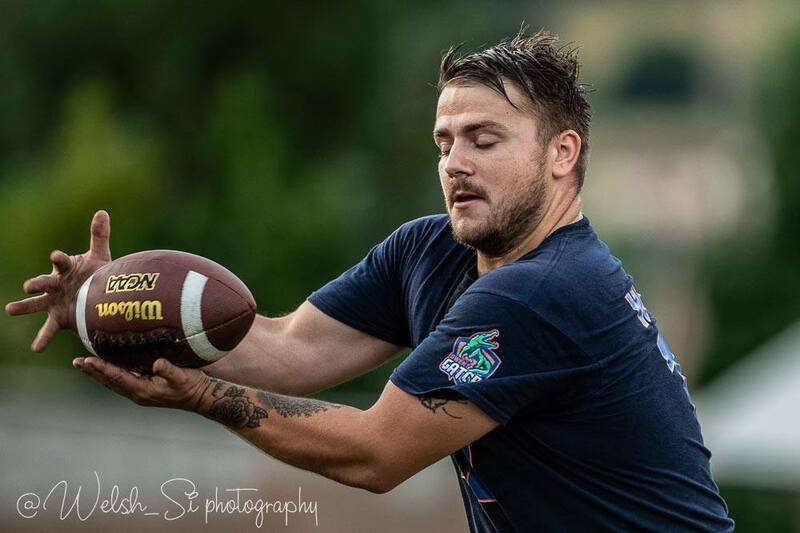 Our QB1, Harry Taylor has a good arm and eye; I think he’ll do well. The Corbett boys, Josh and Jake. Both only started playing in May this year, Josh is a C and is a good set of hands underneath and Jake, a CB, has developed very well these last 4 months and has become a very sound tackler and first line of defense. Lots of folks believe that the running game in flag doesn’t particularly work yet our Running Back Keenan Gibson has made that statement look foolish thus far. Our Assistant Coach and Safety, Chris Bartlett-Legge has shown a nose for the ball and doesn’t give up big plays, same goes for James Green. 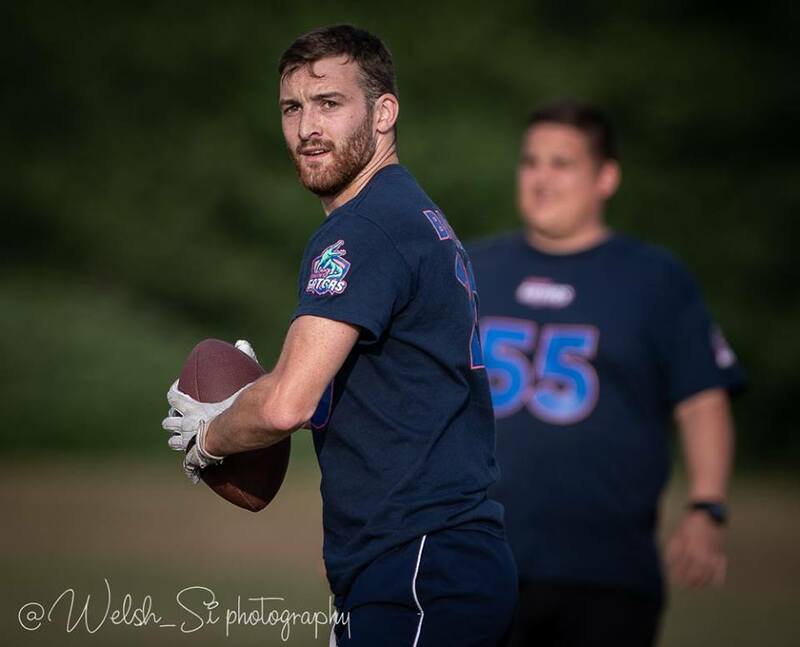 We also have some pedigree in Lee Wood at Receiver and Ryan Kehoe at Safety, who last played flag for the Cardiff Hurricanes in their League winning season in 2014. Even guys on the fringes of the starting squad have shown some great growth these past few months, far too many to give the credit they deserve but the likes of Ash Pimble (@BigEasyMafiaUK) our resident nutter (love you Ash!) Lee White (@WhiteWolf190), our Blitzer and one of many Englishmen in the squad, to Safety Matt Priday, our lone Cleveland Brown. Some of these guys hadn’t ever played any form of Football prior to joining the Gators and the strides they’re making, session by session, is impressive. It makes my job as HC in some respects easier but also harder in others but I wouldn’t have it any other way and long may it continue! Are you planning on entering any extra invitational tournaments? Will we see the Gators in Europe soon? As mentioned previously, we are entering 2 teams in the South West Series, organised by Plymouth Buccaneers and Exeter Falcons, that will be played from November to February/March time, then we are targeting the Welsh Cup, as that will give us a great tune up and test heading into our inaugural league season and after the league campaign next year, there has been tentative discussions about looking at the Outlaw Flag League. As for European competition, its something I would love us as a team to do, but 2019 may be a year too early so 2020, Big Bowl? Pink Bowl? Watch this space I guess. How can people get involved in the Gators? We train every Friday Night 7.30pm-9.30pm and Every Sunday 3pm-5pm at Risca Firestation Fields, Risca, NP11 7AE. 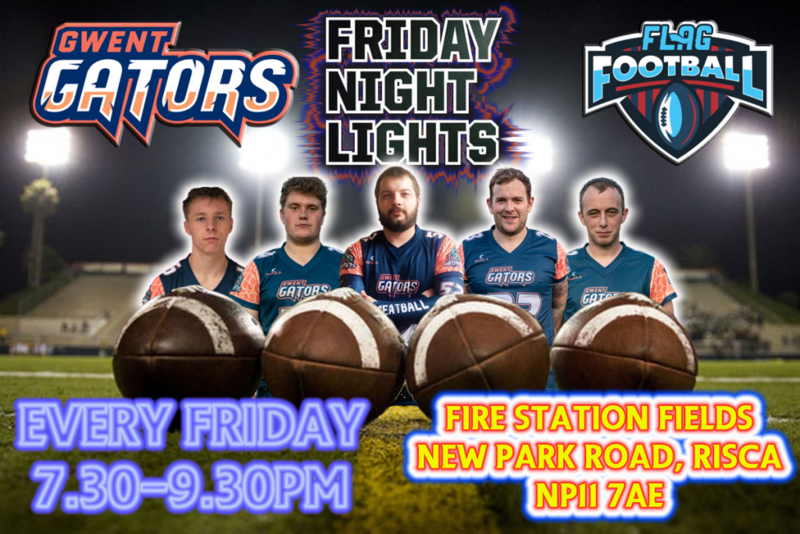 Anyone who is interested, be it as a player, supporter or spectator, can either come along and have a chat with us or join in, otherwise you can find us on Facebook, Twitter and Instagram, just search for Gwent Gators. Our website is www.clubwebsite.co.uk/GwentGators. Special mention to Team Photographer Simon Latham (@Welsh_Si) who has been instrumental in allowing us to use Social Media to its best with his images. We are also still looking for sponsorship, if anyone is interested in doing so, please get in touch at GwentGators@gmail.com. Thanks Dale! And good luck in 2019!